The first thing that I think is really really important to get out there is that marijuana does not "cure" anything! There is no credible scientific evidence that cannabis is some sort of cure-all. What is especially disturbing to me is how many people are willing to offer false hope to very sick people, by saying that cannabis can "cure" their Epilepsy, or allow them to completely go off their prescription medications. Cannabis has some incredible medical effects and benefits that can help patients suffering from seizures, but it's important to understand the facts! When it comes to treating Epilepsy or Dravet Syndrom with medical marijuana, it should always be done under the care of a physician, and in addition to current medications. Almost all Epilepsy patients who report some relief from cannabis continue to use RX medications in addition to help control seizures. The best treatment for patients suffering from seizures seems to come from high-CBD, low-THC forms of cannabis, extracts or hash oil (sometimes referred to as Rick Simpson oil or RSO). High-CBD cannabis edibles or extract oil. These can be made at home from high-CBD cannabis, or some patients purchase specialized concentrates/edibles that are high in CBD and low in THC from known sellers (for example "Cheeba Chews"). High-CBD strains using a vaporizer (smoking is not the most healthy way to take cannabis). Vaporize your cannabis instead of smoke it, as vaping allows for easier dosing and is less likely to come on too strong too fast. 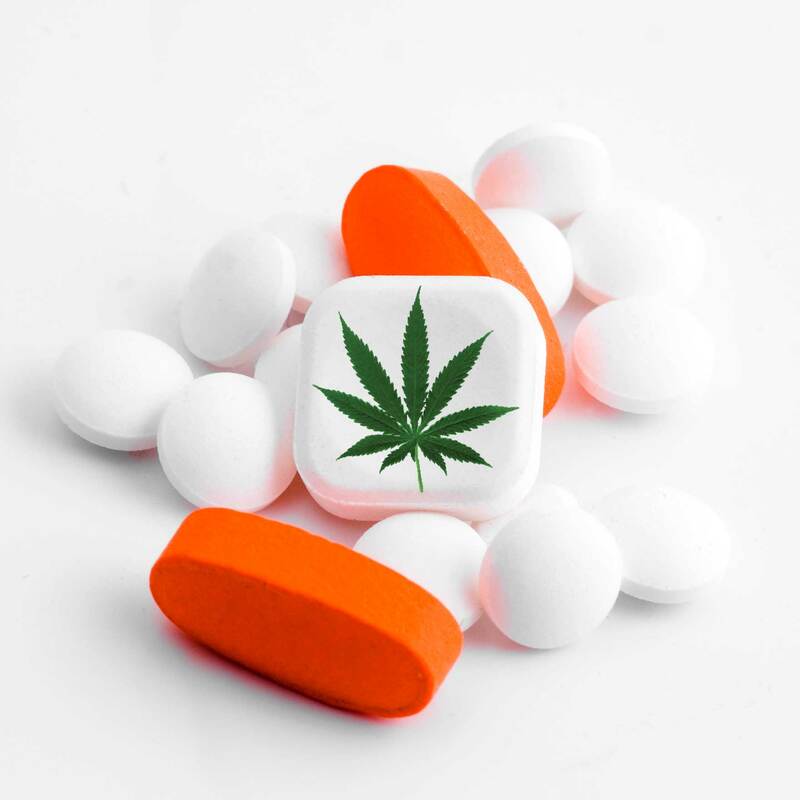 Keep taking your prescriptions – Always speak to your doctor before taking any type of new medicine including marijuana, and continue to take all prescription medications. Do not reduce or stop using your prescriptions without talking to your neurologist or you may induce a seizure! Most patients who successfully use cannabis to help control seizures do it in addition to their prescriptions. AVOID anything high in THC especially when there's also low levels of CBD. Avoid concentrates like "wax", "dabs", "shatter" and "BHO" (butane hash oil) which are usually extremely high in THC and low in everything else. Also avoid untested edibles, as these are also usually high in THC. Most "recreational" or adult-use cannabis is high in THC, and extremely low in CBD – you need specialized strains for low THC. AVOID CBD products made from hemp. I've noticed these "legal" alternatives to medical cannabis popping up everywhere, but I haven't seen any evidence that these are effective for preventing seizures. There's also questions about whether these unregulated products are safe (or even legal). It is highly recommended to only use CBD derived from medical marijuana, not from industrial hemp. Please note that CBD will help counteract the psyhcoactive effects of THC. In addition to preventing seizures, high-CBD strains do not seem to affect most people's ability to think or function, especially when compared to high-THC cannabis. Which strains work best for preventing seizures? A strain is usually considered "high-CBD" if it has more than 2% CBD. Some strains have higher levels of CBD than that, up to 15% CBD or more. As far as growing your own supply of medicine, generally you'll get the most consistent high-CBD results with clones, though high-CBD strains from seed have come a long way over the last few years as the strains are stabilized. But even more important than the total amount of THC and CBD is the ratio between them. For most Epilepsy patients, it's recommended to use a ratio where there's equal or more CBD compared to THC. Supreme CBD Kush by Nirvana (1:1 ratio – 9.5% THC and 9.5% CBD) – one of the most consistent breeders in the business – you always get exactly what they tell you! High-THC strains or edibles without significant levels of CBD – Unfortunately, high-THC levels is what you'll get with most popular strains, since growers have been selecting for high-THC, low-CBD over the last several decades. It's only recently that growers have been breeding strains with higher levels of CBD. For extra safety, Epilepsy patients only use strains which have at least 2% CBD levels, and even higher levels of CBD are good. Some strains have 15% CBD or more. Never use strains with over 15% THC! Strong concentrates – Especially avoid things like "wax", "dabs", "shatter" and "BHO" (butane hash oil) which are usually extremely high in THC and low in everything else. Also avoid untested edibles, as these are also usually high in THC. This is all just anecdotal evidence for now, but I would love to hear more experiences, good or bad, from other epileptics. If you have Epilepsy and have ever used medical marijuana, please leave your feedback, good or bad. Question: Which strains are best for siezures my son? He seems to be sensitive to smoking. I'm not sure but cannabis actually seems to trigger siezure activity as opposed to stop it. The cannabis used is all grown in soil organically. Are there specific strains which increase the seizure threshold? The 2 occations he had grand-mal seizure was after smoking dabs. We are not medical professionals and nothing that we say can be used as medical advice. I recommend talking with your son's neurologist before making any changes to your son's medical regimen (and many neurologists are starting to educate themselves about medical cannabis), but I will share what I've learned so far from my own epilepsy. First off, it's important to understand that different strains have different cannabinoids. Two of the most studied cannabinoids are THC and CBD. For many people with epilepsy, high levels of THC can be a big trigger for seizures. Dabs are almost always extremely high in THC and low in everything else, and should be avoided at all costs by those with epilepsy, especially if they've triggered a grand-mal in the past. It's also important to avoid high-THC, low CBD strains (which unfortunately make up the majority of strains these days). What seems to work best for those with seizures is high-CBD strains with a moderate to low amount of THC. There are also concentrates/edibles available (for example Cheeba Chews) with are high in CBD and low in THC. These strains/concentrates/edibles don't get you "high" but they can help reduce seizures for some people. In my experience and from epilepsy patients I've spoken with, the best results come from medical cannabis strains that are high in CBD. You may see some people advertising high-CBD concentrates made from industrial hemp, but these aren't tested to see if they work for reducing seizures (plus they're expensive and unregulated). If you live in a medical state, you may be able to get your hands on high-CBD, low-THC medical cannabis clones. If not, you may have to take your chances getting seeds online. High-CBD strains are relatively new, and haven't been as stabilized as other strains that you get from seed. That's why getting a clone is best, especially if the grower has actually tested the buds and can confirm the CBD levels. But there are good options with seeds, and high-CBD strains are getting more stabilized each year. Many dispensaries also carry high-CBD strains these days, and those are great because they've actually been tested for THC and CBD levels so you know exactly what you're getting. A great breeder to check out is "CBD Crew" as they've been breeding high-CBD strains since 2009. I hope that helps, and good luck with your son! Visit the Medical Cannabis for Epilepsy Google+ group for more news and discussion. How do I grow weed? Teach me the basics. How much will growing marijuana indoors cost me? Questions about buying cannabis seeds online? Disclaimer: THIS PAGE HAS NO MEDICAL ADVICE! I am not a doctor or medical practitioner, and neither is anyone else who helps run this website. We are trying to help provide information to patients, but you must always consult with your doctor or health care advisor before changing anything related to your health regimen for epilepsy. There is not enough clinical evidence & research about the benefits of medical cannabis for it to be used as a main source of medicine for epilepsy or any other condition, and you need to speak with a licensed health care advisor to make the right decision for your health and your situation. You may be surprised at how many doctors are willing to talk openly about medical cannabis. As with everything for epileptics, if you do make any changes, start slowly and avoid going overboard. There are not enough studies about cannabis and epilepsy to know the complete effects. Until more studies have been conducted, I believe that cannabis should only be used by epileptics as a last resort, when nothing else has worked. If you do decide to try to prevent seizures with epilepsy, start slow and try to stay at the lowest dose needed to acheive results. Remember that any kind of stress on the body can make seizures worse. Some epileptics have claimed that any kind of medical marijuana will actually makes their epilepsy worse or even directly triggers seizures, so definitely don't just start smoking marijuana like it's a new epilepsy RX from your doctor. It's important to be slow and methodical according to a plan set by your doctor, checking in regularly with your neurologist.